L10: Logic Gates - Can You Compute? ​​​​​You will learn about NOT, AND and OR gates and how to draw them. The CPU is made up of millions of tiny switches which have two states, ON or OFF. These switches can be combined to create gates that control the states, these are know as "logic gates". 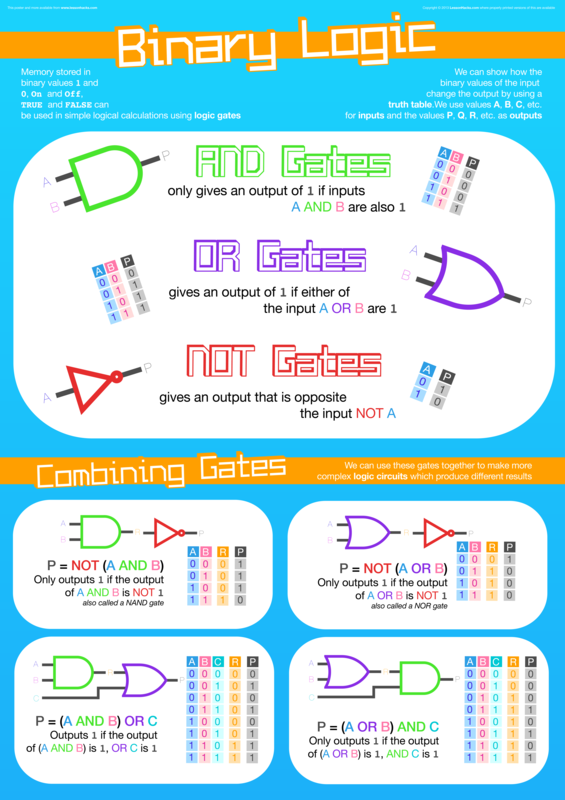 Learn about the Logic Gates and use the simulators below to test your answers to the lesson notes.